Last night was the last of our midweek contemplative services. They have been very special for me and other participants, but since the attendance has remained small and recruiting leaders has been difficult, it is time to call an end to this phase of the experiment. Maybe we will try them again in the not-too-distant future, in some form, if there is a groundswell asking for them. 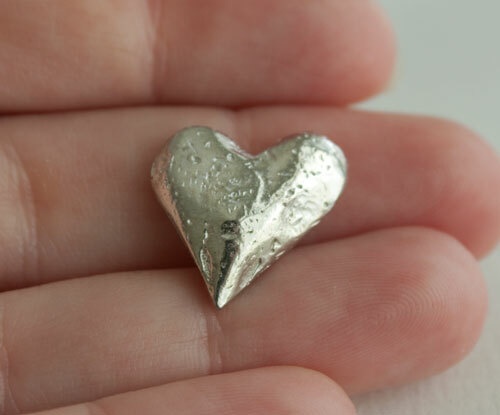 The theme last night was “heart to heart,” and we had a ritual of blessing little pewter hearts with something we have gained from coming to these services, and/or that we hope that others will take away with them. We blessed them silently, each of us putting our hand over them, then I gave a heart to each person, and after I spoke their name, we went around the circle speaking the blessing we had each given. So I have a heart in my pocket that holds tenderness and gentleness, compassion, clarity, generosity, humility, space for reflection, and the love and support of friends who show how they feel. All blessings I am very glad to carry in my heart. One more blessing is this congregation, whom I love so much that it’s a good thing that heart is made of pewter or it just might burst. Im looking for the scourse of Sermons in Stones, the original quote, can you help me with that.